Coming up in just over two weeks! — September 8-9-10, 2016 — is the Midwest LSA Expo. I hope your plans include going. Plenty of aircraft are available and taking a demo flight is no easier anywhere. I will look for you on site! More info: Midwest LSA Expo. 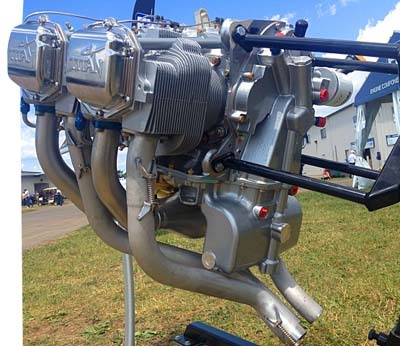 A Titan X-340 engine installed in American Legend's SuperCub. Engines have changed a lot over the life of Light-Sport Aircraft. FAA's new regulation became effective in September 2004. A hard working industry has brought 140 Special LSA models to market ...in less than 12 years, one per month for every month (on average) since the rule emerged. Engines have been similarly prolific. 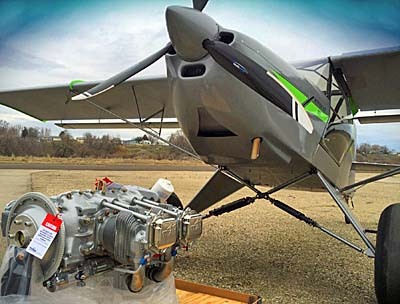 In the beginning, Rotax's 65-horsepower two-stroke 582 was a often selected to power the lighter aircraft of the pre-LSA period. The 9-series engines had gained acceptance much earlier but as LSA got bigger and heavier, their success gave a tremendous push to the popular Austrian engine and it dominates to this day. The 100-horsepower 912 ULS and iS models are used on around 75% of all LSA-like aircraft worldwide. The larger 915 model to arrive in 2017 will surely continue the Austrian company's success story. However, while Rotax is the biggest player, many others have found acceptance. Titan will power the already-awesome Just Aircraft SuperSTOL. I envision three categories of light aircraft engines: Alternative, Mainline, and Emerging. In the Alternative category, we have a variety of two-stroke engines and very small four-strokes. Early on, Rotax owned this category, too, with their 277, 377, 447, and 503 two-stroke engines, the latter of which was particularly well regarded. All have since been discontinued though many are available on the used market. Hirth remains active with a whole line of two-stroke engines. 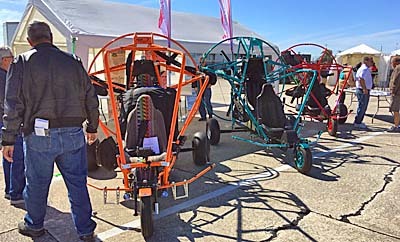 If we include engines for powered paragliders and very light trikes, some wonderful small powerplant are available: Bailey — I came to enjoy this tiny, fuel-efficient, moderately-quiet four-stroke engine; see article — plus Simonini, Polini, Vittorazi, and others (article) lift the very lightest of powered aircraft. Delving still deeper into alternative engines brings us to electric, solar electric, and hybrid electric. Then we have diesel. I have examined and reported on more than I care to mention here but the fact is, choices are ample. 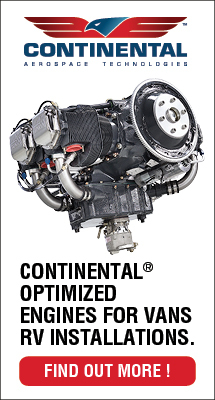 Nonetheless the Mainline category has the most recognized brands: Rotax's 9-series is flanked by Jabiru's 2200 and 3300 models, Continental's popular O-200, the LSA-specific Lycoming O-233, plus others like UL Power and D-Motor are reportedly working on ASTM compliance but meanwhile are used to power homebuilt and other aircraft in growing numbers. For kit builders, auto conversions from companies like Viking and Aero Momentum among others can save money while offering impressive hardware built from recognized brands such as Honda and Suzuki. 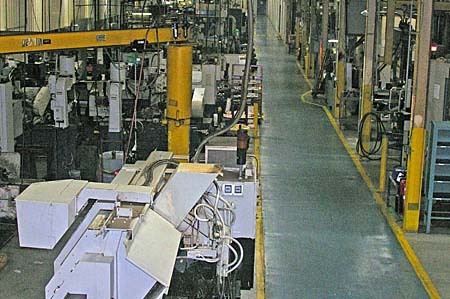 Continental's factory floor in Mobile, Alabama is a vast facility, used to make engines since back to World War II. Now coming to the Emerging category, we have models like the Titan with its whopping 180 horsepower. Photos with this article show several adaptations and I expect more. As well, Rotax's 135-horsepower will find a market for more power. 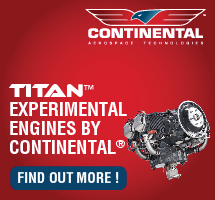 As reported earlier, Continental acquired ECi, originator of the X-340 Titan. For a time, they functioned as sibling but separate companies. Now, the Alabama powerhouse is consolidating. On August 17, 2016 Continental Motors Group (CMG) announced that it "will consolidate all manufacturing operations into its advanced manufacturing centers located Alabama and Germany." This change is sweeping. "The manufacture of CMG's line of FAA approved parts for Lycoming engines, as well as the full line of Titan Experimental and Certified engines that are currently produced in CMG's San Antonio, Texas facility will be transferred as a result of this consolidation." CMG said it has "invested significantly in advanced manufacturing equipment, processes and people while implementing manufacturing techniques and lean tools based on the Toyota Production System." Because CMG and ECi used similar processes to make similar parts and assemblies, relocating the products currently produced in San Antonio makes sense, the company explained. Vickers Aircraft Wave, expected in 2017, will be the first LSA seaplane to employ the 180-horsepower Titan X-340 engine. 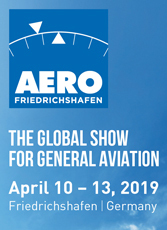 "Continental Motors has grown significantly in the past three years in both products and facilities as we strive to become the leader in propulsion for small aircraft," said CEO Rhett Ross. "However, as we have seen our business grow in the number of products, customers and operating sites, it has become apparent that changes are needed to make us more responsive to the needs of our customers. CMG will coordinate with its Master Distributor, Aviall, to complete this move without interrupting the availability of the high quality, factory produced parts and engines within the Titan Product Family. Continental wished to recognize the valuable contributions made by ECi employees in San Antonio. CMG promised to help those employees transition to new roles within the Continental family or to find new opportunities within the San Antonio business community. Customers or airframe manufacturers with questions may direct them to marketing boss Emmanuel Davidson. Coming up in just over two weeks! — September 8-9-10, 2016 — is the Midwest LSA Expo. I hope your plans include going. 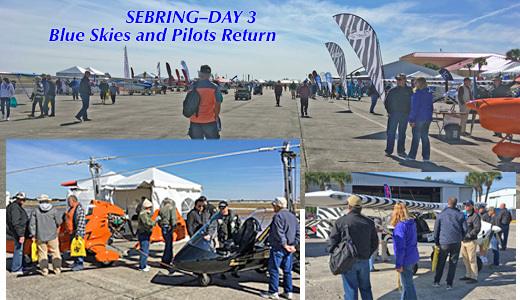 Plenty of aircraft are available and taking a demo flight is no easier anywhere. I will look for you on site! More info: Midwest LSA Expo. Engines have changed a lot over the life of Light-Sport Aircraft. FAA’s new regulation became effective in September 2004. A hard working industry has brought 140 Special LSA models to market …in less than 12 years, one per month for every month (on average) since the rule emerged. Engines have been similarly prolific. 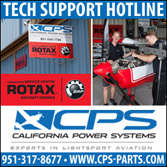 In the beginning, Rotax‘s 65-horsepower two-stroke 582 was a often selected to power the lighter aircraft of the pre-LSA period. The 9-series engines had gained acceptance much earlier but as LSA got bigger and heavier, their success gave a tremendous push to the popular Austrian engine and it dominates to this day. The Tornado is one of a line of small-looking, hot-handling, tandem-seated light aircraft including one model that can still meet Part 103 for ultralight vehicles. Short spans of an all-metal wing and a racy fighter-aircraft look to the cabin area add to the appeal of the four Tornado models. We speak with developer and longtime company boss John Williams who tells about construction and much more. Everybody loves the P-51 Mustang and not just pilots, but seemingly anyone who likes airplanes. 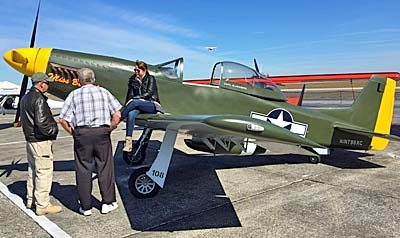 However, affording one or being qualified to fly one limits any interactive fun with a Mustang to a very limited number of people. Titan Aircraft owner John Williams was another Mustang lover but he did something about it, creating the T-51, a very realistic kit that many can afford. We spoke at length with John about his favorite creation. We think you might enjoy it as well. No, he's not going to fly into the hangar... you hope, but Greg Koontz's airshow act keeps you wondering. Probably you've seen an act like this before. 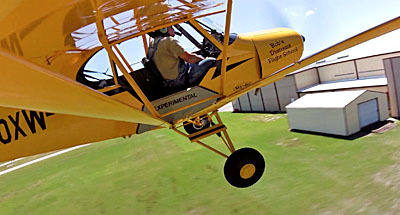 A crazy-acting farmer or a supposed drunk hops into a Piper Cub or similar aircraft after the regular pilot leaves it unattended for a few minutes. The crazy guy has no flying experience but somehow proceeds to start up the airplane and to take off in the most out-of-control manner imaginable. As he erratically careens around the sky, handling the aircraft wickedly out of control, he nearly impacts the ground over and over. The entire act takes place within a couple hundred feet of a hard-as-concrete surface. Even though it's only an act and even if the pilot is actually a gifted aviator, it's easy to get caught up in the moment and fear that nutjob is going to whack the airplane into the ground right in front of the airshow crowd watching in fascination. So, you may look at the act Greg Koontz performs and you might undervalue the skill involved. Yet, Don Wade worked with Greg to develop this project and reported, "Greg is one the most precise airshow pilots in world. You have no idea how difficult landing on the truck is. You have just six inches either side of the wheels!" Most of us are pleased to make a "squeaker" landing where the landing gear kisses the tarmac oh-so gently. We beam with pride should someone witness our skill. We're pleased to do a precision landing that gets within a couple hundred feet of a preplanned target. Our flight instructor might nod approvingly. Even experienced pilots competing on spot landing contests are pleased to landing within a ten or twenty feet of their target... and their runway isn't moving! An error tolerance of six inches on a surface that is itself moving, well now... that is really something. Approaching for landing on the "world's shortest runway. Koontz has his American Legend, awesomely powered by the 180-horsepower Titan, painted up to say "Bob's Discount Flight School." Hmmm, is that like a discount doctor? The Dodge pickup truck on which he lands is lettered with messages to resemble a plumber's work vehicle complete with a big rack on top. We're supposed to believe this might be used for hauling pipe and it merely happens that some crazy pilot might try to land a plane on top. In truth, as our video shows, the rack is quite carefully built to allow Greg to artfully land while in motion. After he touches down he tweaks the throttle to move the main gear into curved wells sized to the Legend Cub's wheel stance. 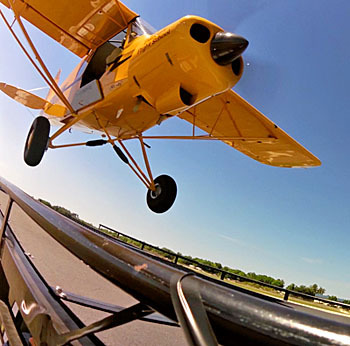 After Greg touches down with the mains and cautiously rolls them forward into the wheel wells, he holds the tailwheel up as the truck driver slowly decelerates, allowing the tailwheel to settle where planned. Then, as the announcer goes on with the story, the truck driver again accelerates smoothly and Greg is able to lift off and continue flying. It looks so deceptively easy but it surely is pure deception. As I watched the video footage we captured, I knew I'd never try anything so crazy. The crowd eats it up. Even jaded airshow pilots who have seen it all have to admire the skill Greg applies (along with his capable truck driver) in making the entire act work. The 2016 version of the act — the "smallest airport" — will include 16 venues that started with Sun 'n Fun 2016 and includes that summer celebration of flight known as Oshkosh. 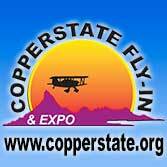 For the show schedule and additional details visit Greg's GK Airshows website. Landing the Titan-powered Legend Super Cub... as viewed from the truck. American Legend entered the SLSA space early; they were the 10th LSA to achieve their special airworthiness out of a list now 140 strong. They first used the 100-horsepower Continental O-200, later mounting the 115-horse Lycoming O-233, the 120-horse Jabiru 3300 six cylinder, and later still, the still-to-come Superior diesel engine entry. However, from the view of Greg Koontz and many other pilots, the big Titan does a terrific job and, following Continental Motors' acquisition of ECi in 2015, it might be said that American Legend returned to their roots. 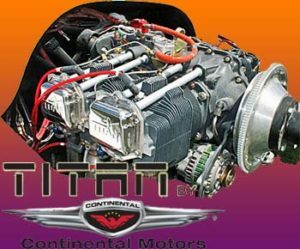 Titan's X-340 engine, now offered by Continental Motors, is a four cylinder, 340 cubic inch displacement engine that produces 180 horsepower. Sulphur Springs, Texas-based American Legend said their Super Legend HP with the Titan X-340, offers "fast cruise speeds and the best ever takeoff and climb performance in a Light-Sport Cub." 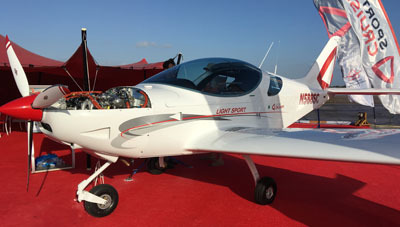 Company boss Darin Hart explained that to qualify as Light-Sport Aircraft, maximum takeoff power must be limited to five minutes with continuous output limited to 80 horsepower. Others have used this engine and fought mightily to keep the weight within LSA's challenging standard of 1,320 pounds. 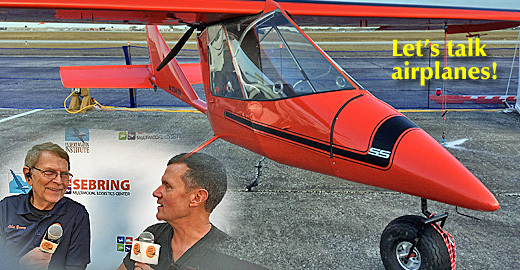 Darin explained, "Special lightweight custom paint and carefully selected panel equipment are helpful to maintain Super Legend HP empty weight at less than 904 pounds," as required by FAA to qualify as a Special LSA. Good job, American Legend. Great act, Greg Koontz. Pilots, while you might not want to follow Greg's aerial antics, I'll be you enjoy the big Titan power that makes the act that much more entertaining. Probably you’ve seen an act like this before. A crazy-acting farmer or a supposed drunk hops into a Piper Cub or similar aircraft after the regular pilot leaves it unattended for a few minutes. The crazy guy has no flying experience but somehow proceeds to start up the airplane and to take off in the most out-of-control manner imaginable. As he erratically careens around the sky, handling the aircraft wickedly out of control, he nearly impacts the ground over and over. The entire act takes place within a couple hundred feet of a hard-as-concrete surface. Even though it’s only an act and even if the pilot is actually a gifted aviator, it’s easy to get caught up in the moment and fear that nutjob is going to whack the airplane into the ground right in front of the airshow crowd watching in fascination. So, you may look at the act Greg Koontz performs and you might undervalue the skill involved. 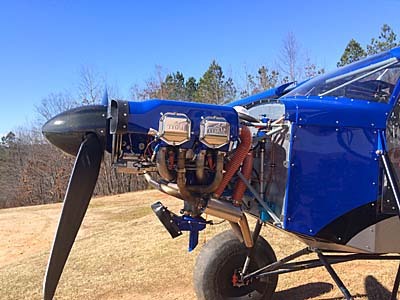 Kitfox Aircraft has installed the Titan X-340 and is currently testing the engine. In my many years in aviation, I've learned this about light aviation pilots: If 80-horsepower is good, then 100-horsepower is better, and even more is best of all. It explains why interest was so high when Rotax announced their new 915iS that will provide 135 horsepower. It also illustrates why the 180 horses of the Titan X-340 is succeeding in the Light-Sport Industry. Interest from LSA producers started with CubCrafters adopting the engine several years ago. When that company's boss, Jim Richmond, held a press conference at Sun 'n Fun, the reception was somewhat cool. Of ten persons in the audience, only four of us were journalists. The other six (yes, 6!) people were from FAA. No wonder, perhaps, as ASTM standards at the time brought questions to mind regarding the use of such a powerful engine. Those standards have since been modified somewhat. Indeed, the western producer instructed users that the engine could only be used at full power for takeoff or climbing, but otherwise had to be set to lower power. Of course, you would not run many engines at full power for all phases of flight but my guess is many users put the noise lever where they wish and don't worry too much about what standards or regulations state. Flash forward to 2016 and interest in the Titan engine is clearly revved up all the way. Let's see... this list may not be complete as new brands seem to be regularly considering bolting on the powerhouse engine -- CubCrafters Carbon Cub, American Legend Super Legend, Zlin Outback (Shock Cub in Europe), Just Aircraft SuperSTOL, Kitfox STi, Rans Raven, Vickers Wave LSA seaplane. Why do these leading companies use a more costly engine? What pilots doesn't love plenty of power for performance, climbing strongly without straining the engine. With an excess of power, pilots can thrill to short takeoff rolls, exhilarating climbs north of 2,000 fpm on some models, and somewhat higher cruise speeds, though the latter depends much more on airframe and wing shape than horsepower. It may also provide a safety factor in some situations. 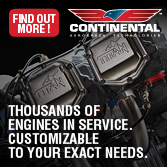 Continental Motors said, "The Titan 340 is unlike any other engine we offer. This little stroked 320 can put out over 180 horsepower and is 20 pounds less than a stock 360. ASTM certification has proven this engine to be reliable and a great performer." Titan Engines remains based where ECi was founded in San Antonio, Texas. 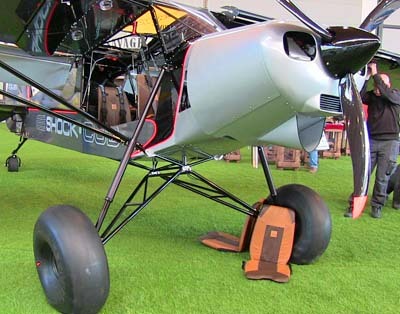 Zlin's Shock Cub uses the Titan. Attendees can examine the model at AirVetnrue Oshkosh 2016 under the Outback name at SportairUSA's booth. In my many years in aviation, I’ve learned this about light aviation pilots: If 80-horsepower is good, then 100-horsepower is better, and even more is best of all. It explains why interest was so high when Rotax announced their new 915iS that will provide 135 horsepower. It also illustrates why the 180 horses of the Titan X-340 is succeeding in the Light-Sport Industry. Interest from LSA producers started with CubCrafters adopting the engine several years ago. When that company’s boss, Jim Richmond, held a press conference at Sun ‘n Fun, the reception was somewhat cool. Of ten persons in the audience, only four of us were journalists. The other six (yes, 6!) people were from FAA. No wonder, perhaps, as ASTM standards at the time brought questions to mind regarding the use of such a powerful engine. Those standards have since been modified somewhat. Indeed, the western producer instructed users that the engine could only be used at full power for takeoff or climbing, but otherwise had to be set to lower power. PANEL GLARE - While you have oodles of visibility from a Tornado, the use of a white panel causes reflection on the windscreen. Fortunately, I didn't notice it too much while flying. NEAT LAYOUT - Roger Bacon did a quality job of using his panel space to accommodate a range of instruments in his Tornado 912. I especially like his coordination ball installation (arrow). ROTAX 912 - Fitted with a green valve cover Rotax 912S, Roger Bacon's Tornado has 100 hp at its disposal, enough for lively departures from terra firma and a 1,800-fpm climb rate. TIME TO SWITCH - For his many optimal features, Roger Bacon added this switch panel on the right side of the cockpit. That's the rear right rudder pedal just below the switch panel. BIG DEFLECTION - Note the way-down position of the Tornado's flaps while Roger Bacon deflects the ailerons for a right turn. He has fine-tuned the control surface with spades that bring very light roll inputs. READY, SET, GO - Owner Roger Bacon flashes a smile before buttoning up his Tornado and heading for takeoff. The optional luggage pod offers little surface area to produce drag. SHORT & LONGER - The Tornado II 912, like the rest of Titan's line, uses a short wing span that works very hard. What's different is the 8-foot-wide horizontal stabilator that helps with the powerful engine. That's a foot wider than the standard Tornado. SEATING OR CARGO - While seated in the front, Roger Bacon holds open the rear entry door in an invitation to place cargo or an occupant inside. LUGGAGE POD - One of Titan's many options is this luggage pod that fits neatly under the fuselage and hinges at the rear. Since space is at a premium inside a Tornado, here's a way to carry things you'll need at your destination. JOCK SEAT - This cockpit arrangement gives the impression of a fighter cockpit among ultralight aircraft, a fact that interests many buyers of the sleek design. Over the years, Titan Aircraft has made their Tornado a familiar aircraft seen at flight parks and airports around the nation. Since it was introduced in '91, the sleek, efficient plane has evolved into a variety of models. This month we examine the fine work of Roger Bacon who created a lovely red-and-white Tornado II 912, powered by the 100-hp Rotax 912S 4-stroke powerplant expected to be commonplace on light-sport aircraft. Bacon's airplane is licensed in the Amateur-built category but its facts and figures suggest it could be flown with FAA's proposed Sport Pilot certificate (until FAA's new rule is introduced, a private pilot's certificate or better is required). Usually I prefer to fly a factory airplane to make sure it correctly represents what a buyer might receive. However, Bacon's model is so well done, Titan Aircraft encouraged a test flight. Thanks to Bacon for his willingness to let me take his pride and joy aloft. Popular Design Even with the potent Rotax 912S and all its related hardware plus controllable-pitch prop, Bacon estimates his Tornado has a 647-pound empty weight including the empty cargo pod. From the plane's 1,000-pound gross weight that leaves a 353-pound useful load. Fuel at 14 gallons leaves 269 pounds of occupant and luggage. A pretty lean Bacon could carry a lightweight occupant or virtually all the baggage he cared to bring along. It was a warm Florida day when I flew his machine, which highlighted one drawback of a fully enclosed model like the Tornado 912. Good fresh-air inlets are important as you sit in a greenhouse-like Lexan cockpit. Bacon admits he put the air inlet a little too far aft. Moving them slightly forward would improve their operation, he says. I had to put my right hand down near the NACA inlets to direct more air at me. Fortunately this wasn't Florida's hottest day or the air shortage could have been uncomfortable. However, despite the warmth inside the Tornado, I had to admire the detail that went into this particular model. Titan Aircraft designed the Tornado II 912 to a +6g/-4g limit load capability at 1,000 pounds gross weight. Such strength - representing a higher ultimate load limit than most factory-built general aviation aircraft - combined with the Tornado's superb handling made for an inspiring flying machine. No wonder Titan has enjoyed great sales of this line of aircraft. After a review of Bacon's numerous, very clearly labeled controls and interior, I entered the pilot-in-command seat of his Tornado. Front seat entry is easier than the rear as the door allows more room to bring your legs and feet inside. Like many other pilots, I've always been attracted to the Tornado cockpit. The laid-back, curvaceous seat with the control stick emerging through an opening is fetching. Besides the fighter pilot styling of the plane, Bacon had his interior finished off with sound-deadening material. A large panel presented all the instruments you need in a light plane. However, this introduced one of my few criticisms of this Tornado. With the light entering the cabin from certain directions the white face of the instrument panel reflected significantly in the windscreen. A black panel, though more commonplace and therefore less striking visually would reduce reflection and suit me better. The way the panel narrows at the bottom allows sufficient room for your legs though no Tornado will give you much room to move your legs around in flight. This is even less so in the rear. Cabin Controls The Tornado's cabin may be on the snug side for some larger pilots, but more so than most other ultralights, it imparts a gutsy, go-get-'em feel. Almost everyone loves the sensation. Controls are generally close at hand though some have to be unusually placed. Perhaps in an effort to economize interior room, Bacon's throttle had a very short throw, such that when adding power the action is almost sudden. Applying fine control will take practice. The choke lever, located right below the throttle, also has a very short arm. And where Bacon mounted his GPS, it tended to bump against my knee. A trim wheel is located below your left thigh under the seat. The outside of the trim wheel is your guide to its rather nonintuitive operation. My mantra became: outside of the wheel up for nose-up, and outside of the wheel down for nose-down. Any memory jogger that works for you will suffice, but you need a system, as the wheel is different than most trim controls. The prop control switch, located right above the trim wheel, is up for more prop rpm and down for less prop rpm. Though you can't see this switch while flying, its movement is intuitive. Taxiing out for takeoff, I experimented with the Tornado 912 before committing aviation. I found Bacon's toe brakes to be a little difficult to find at first and not particularly effective. Most aviation brakes lack the power we're used to in autos, but neither are they as vital for normal operations. The Tornado's suspension, or lack thereof, made for a fairly rough ride on South Lakeland Airpark's turf runway, suggesting this particular aircraft may be better suited to hard-surface runways. Finally positioned on the runway, I gently opened the throttle on Bacon's Tornado II 912. I've experienced 912 takeoffs before on light aircraft and find that full power is rarely needed. Most pilots find an excess of power to be valuable but 100 horses for 1,000 pounds seems overkill in my mind. However, by applying the throttle smoothly and steadily, takeoff came without incident and certainly delivered a sensation of power. In no time Bacon's Tornado was dashing down the runway and ready for rotation. When you approach for landing in the Tornado, you can be glad of two things. First, this is one hard-working wing that produces an uncommon amount of lift for its relatively short 23.5-foot span. The wing design derived from Mark Beierle's Thunder Gull and it remains one of the finest-engineered wings I've experienced in flying many light aircraft. Aiding the efficient wing are large flaps that deflect downward to a sharp angle (about 40°). These two design features combine to take the speedy Tornado down to genuine ultralight approach speeds. In my mind, the go-fast, then go-quite-slow capability of the Tornado line may be one of its best attributes. In aviation, the "Holy Grail" of design aims at a 4:1 ratio of fastest cruise to slowest stall. Titan Aircraft has achieved a range in the Tornado 912 that runs from a 120-mph cruise to a 35-mph stall (with best flaps), putting the design very close to the magic ratio. Aerodynamic Controls Fortunately for Titan Aircraft and those who buy their aircraft, the speed range is only one of several good virtues of the design. The Tornado also exhibits some of the best handling qualities to be found in light aviation. Tornado rudder pedals are quite powerful. Only a little movement was needed to move the control noticeably. Since your legs are stronger than your arms, this small-movement-for-good-response characteristic doesn't spoil the feeling of good control harmony. My Dutch roll coordination exercises went quite well to quite steep bank angles, no doubt partly thanks to this aircraft being equipped with spades. These aerodynamic surfaces lighten control feel by accentuating the input of the pilot. Some engineers say spades are not necessary and hanging them out in the wind at the end of the wing is not graceful design work. But having flown several Tornadoes with and without spades, I'm willing to state I prefer them on this aircraft. Do you wonder how spades work? Here's a brief explanation: Spades are shovel-shaped surfaces, rigidly mounted on arms forward of the ailerons. They provide aerodynamic balance and reduce the effort needed to roll the airplane. When the ailerons are neutral, the spades are aligned with the airstream and do nothing. But when an aileron is deflected upward, for example, its spade tips downward. Air pressures on the spade help the aileron do its job. Think of a small person on one end of a teeter-totter who helps a larger person at the other end push off the ground. The farther the aileron is deflected, the larger the force supplied by the spade. Aerobatic pilots describe spades as bringing a feel like power steering on a car. The Tornado is efficient enough that rudder pressures were light and it seemed best to lead with the ailerons when making reversing maneuvers. Once in a turn, the Tornado continued the turn, almost on its own. Very little input was required to maintain a set bank angle. During roll entry and exit my lack of familiarity with this particular aircraft caused me to not keep the ball centered. This is not uncommon on aircraft with light, responsive controls yet most pilots will adapt quickly enough. A lot of P-factor is at work on Bacon's Tornado, no doubt attributable to both the potent engine and a prop that can bite a lot of air depending on where it is set. I could advance the throttle and move the prop to high rpm and watch the ball leave its coordinated place in the center of the tube. During most of my flight in this Tornado, it seemed I needed to keep the nose a little higher than I naturally wanted to, the opposite of many ultralights I've flown. This may be explained by the wide-open view over the tapering nose. The "Hoo-Yah" Factor Nobody flies a light aircraft with a 100-hp Rotax 912 and comes away with a ho-hum response. The combination easily creates a level of excitement about its overall performance. Add a controllable prop to the mix and you have some serious enthusiasm being generated. My interaction with Bacon's electric prop was better than a similar experience in the Sky Ranger. On that French design, I didn't operate it correctly mostly due to lack of any indicator saying where it was set. I put the prop into a too-coarse setting with the power reduced and the engine felt sluggish. All constant-speed general aviation props have instruments that help you set the prop precisely. Such would be valuable in light aviation as well, but once owners get enough time with the system, they hardly need a gauge to tell them where the prop is set. I found the comfortable cruising speed proved to be about 90 mph indicated, or perhaps even a bit more. However, this Tornado could clearly run much faster. At about 4,500 rpm with the prop properly pitched I recorded about 105- to 110-mph cruise. At full boost, it can exceed 120 mph. Conversely, at 5,500 rpm with the prop pitched high and holding 75 to 80 mph I was able to keep the vertical speed indicator (VSI) climb pegged at an impressive 2,000 fpm. At near idle thrust, and about 60 mph with no flaps, the descent rate hit 1,000 fpm. With just a little power and the same speed, the descent rate dropped to a more modest 500 fpm. However, in an engine-out situation, the descent rate appears to be rather high. Given the small wing area, this is hardly surprising even if the wing design works hard to produce lift. Bacon reports his Tornado carries 14 gallons of fuel. At a high 120-mph cruise speed, he says his Rotax 912S has a 2-hour duration with generous reserve. Therefore it can cover 250 miles before refueling. I'm confident that if you backed off to 95 to 100 mph, your endurance would jump significantly. On the Tornado 912, the stabilator has an 8-foot span versus the 7-foot span used with smaller engine installations. Longitudinal stability was good and the wider span surely helped. I didn't disturb the controls aggressively but in all checks I made, the Tornado returned to level flight rapidly. However, extra power added energetically does push the nose over, as you'd expect from a design with high thrust line. Adverse yaw on this Tornado was interesting. It did not immediately tend to go in the right direction but neither did it try to go the opposite direction. It merely hesitated for a moment and then moved the proper way. Buying a Whirlwind The airframe kit for the Tornado is $13,500. Add the Rotax 912S engine ($12,990) to that and you'll just about double your investment. You could also choose the 80-hp Jabiru 2200 engine and save $3,000 for 20 horses less, making it a better price deal than the 81-hp Rotax 912 at $11,770. However, that's just the beginning. Titan Aircraft offers a long list of options that will help you get rid of your tax refund. For example, Bacon's luggage pod adds $890 and if you want the 150-mph "Vne package," you'll add $500 to the price of the 912 or "S" model kits (see sidebar, "Titan's New 'S' Model Tornado"). Hydraulic brakes will add $723 and you need to scan the list on their literature or Website for more choices. Beyond accessories, you may wish to explore a good list of building options. For example, you can choose prebuilt wings for $2,800 or the Fast Build option for $5,900. Crating of whatever kit you buy will also add a few dollars. I didn't ask Bacon what he invested, but based on the information above, he's got well over $30,000 in his Tornado 912. Titan Aircraft estimates build time for a standard Tornado at 150 to 300 hours. All required materials, components, and fasteners are included in the airframe kit. 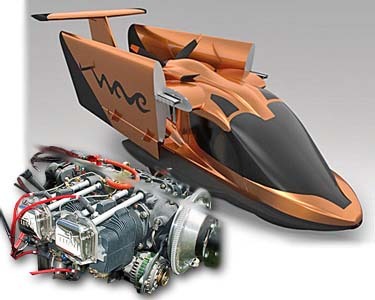 Not included in the basic kit are engine, propeller, and instruments because of different customer preferences. The company's quick-build option is popular among pilots who'd rather fly than build. Titan says the Tornado Fast Build Kit "includes a completed wing; the control surfaces and wing tips are built, but not installed. The fuselage has the aluminum skins, controls, tail assembly, landing gear, and brakes installed. It does not include installation of engine, fabric, instrument panel, windows, doors, fiberglass parts, interior, or finish work." Naturally, if you deck out your Tornado as elegantly as Roger Bacon did, you'll have more time and money into it, but whatever you pay and however long it takes to build, my guess is you'd enjoy flying your Tornado as much as I enjoyed Roger's. Notes: 1 Empty weight does not include options like the luggage pod; as tested, empty weight reported as 647 pounds by owner. 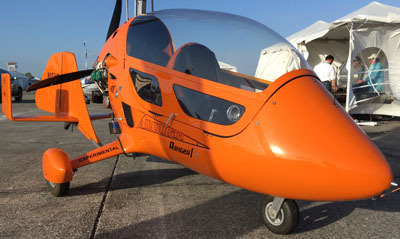 Standard Features Rotax 912 with electric starting, aluminum cantilevered wing, aluminum fuselage with fiberglass nose and wheel pants, fully enclosed, two right-side doors, stabilator with in-flight trim, brakes, composite landing gear, rear cargo door, lap and shoulder seat belts, 15-gallon fuel tank. Options 80- or 100-hp engine, wheel pants, streamlined gear legs, ballistic parachute, floats, instruments, hydraulic brakes, strobe lights, starter kit, quick-build kit. Construction Aluminum wings, fuselage and tail, welded steel structure, fiberglass nose pod and wheel fairings, composite landing gear, Lexan. Made in the USA by an American-owned company; distributed by U.S.-owned company. Pros - A Tornado with a 100-hp Rotax 912S is a potent light plane with a fighter pilot look and feel. Long-lasting, all-metal wing is notable for its efficiency (nearly 4:1 speed range). Titan has evolved this popular design into several models, including new "S" version. Good comfort, control access, and visibility. Cons - Snug interior for larger pilots/occupants (but see sidebar). Built with Rotax 912S engine and many accessories, payload decreases. Build time greater than bolt-together kits and metal material is not familiar to many builders (though Fast Build Kit eases the building effort notably). Pros - The Tornado II 912 can have many features (as either Amateur-Built aircraft or proposed light-sport aircraft): trim, flaps, adjustable rudder pedals, controllable pitch prop and more. Trim worked effectively with good control ratio. Good engine inspection/repair access. Fueling done from outside the aircraft (though tank inside). Cons - Trim adjustment is nonintuitive requiring you learn its operation; also located under the seat where access is more challenging. Many systems available means higher learning curve for a new pilot. Little space for navigation aids like GPS unit. 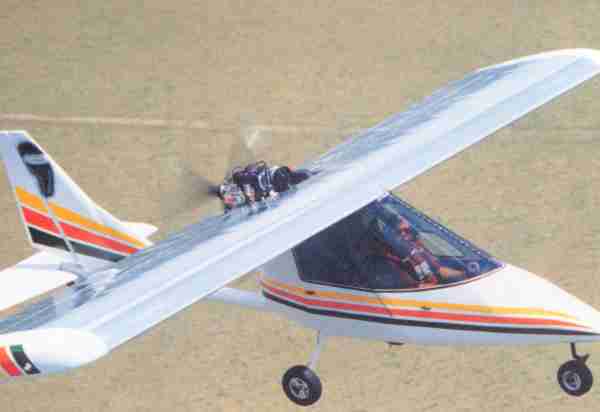 Pros - Excellent visibility with pilot in front of wing; especially good field of view for a full enclosure. Seats offered excellent lower leg support; most pilots will love the control stick opening. Front door allows entry quite easily. Carpeted interior inviting and suppressed noise. Four-point seatbelts were appreciated. Cons - You'll want to make sure air vents bring in enough air in warm climates; greenhouse effect is noticeable. Somewhat on the noisy side (though no worse than many others). Rear-seat visibility is hampered by structure. Rear seat entry/exit is difficult unless you select the longer "S" model. Pros - Visibility is very good for pretakeoff traffic checks. Steering precision was good and the differential brakes were helpful and effective. Turn radius is very small. Steering control feedback was good. Ground stability appears excellent. Cons - Shock absorption was quite firm, transmitted to your body directly; the Tornado seems better suited to hard-surface runways than bumpy turf. Loaded rather lightly on nosewheel; may affect steering. Ground clearance is somewhat limited in this low-slung design. Pros - Landing visibility is outstanding; takeoff visibility is better than average in spite of steep climb angle potential with Rotax 912S. Wings and flaps work hard to provide low approach speed, surprisingly so considering the short wing. Good control authority aids crosswind landings. Cons - Descent rate with no power or flaps was rather high; recommend flaps for all landings. Ground roll somewhat longer if loaded to full gross. Assure controllable-pitch prop in correct position before starting approach. Landing in rough fields could be a problem due to modest ground clearance. Pros - Tornado controls are responsive in all axes. Precision turns to headings are very straightforward. Control authority is strong for maneuverability and ease of operation in crosswind conditions. Rudder power was excellent and predictable. Steep turns revealed the wing's efficiency. Cons - With spades (as flown), the controls may be too light for some pilots. Throttle (also choke) control was a short lever that tended to exaggerate move; fine control will take practice. Rudder pedals had a relatively short throw for a given amount of effect. Pros - The Tornado hits the magic 4:1 fast-to-slow speed range that many designers strive to achieve. Cruise to 120 mph; economical speed still 90 to 95 mph. Slows well and behaves beautifully even near stall (at 35 to 40 mph). Climb rate is breathtaking at close to 2,000 fpm at max. Short takeoff roll. Cons - Sink rate is higher than average (though not surprising given the gross weight and short span/square area). Owner states fuel burn as higher than expected. No other negatives in this category. Pros - Mild stalls in all regimes, breaking only with aggravation and then only if power off. Power-on stalls simply don't occur (though deck angle is very steep). Accelerated stall breaks but recovers fast and easily. Longitudinal stability proved very good in all tests. Steep turns again showed wing efficiency. Cons - Throttle response typical of high-thrust-line designs; backwards of what a general aviation pilot would expect. Adverse yaw must be considered though it, too, is manageable. Found no other negatives. Pros - Inspiring design in many ways combines well with responsive handling. Would-be fighter pilots love Titan designs. All metal (and some fiberglass/Kevlar) aids longevity. Airframe kit is fairly priced and several quicker-build options are available. 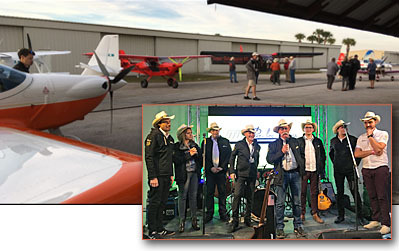 Titan Aircraft is a respected, long-term member of light aviation community. Cons - Real big pilots may fit but will be snug inside. Lexan-covered cockpit demands some good air inlets. With Rotax 912S engine and accessories as flown, price will generously exceed $30,000 plus build time. As flown, rear seat will be restricted to very light occupant or luggage. Over the years, Titan Aircraft has made their Tornado a familiar aircraft seen at flight parks and airports around the nation. Since it was introduced in ’91, the sleek, efficient plane has evolved into a variety of models. This month we examine the fine work of Roger Bacon who created a lovely red-and-white Tornado II 912, powered by the 100-hp Rotax 912S 4-stroke powerplant expected to be commonplace on light-sport aircraft. Bacon’s airplane is licensed in the Amateur-built category but its facts and figures suggest it could be flown with FAA’s proposed Sport Pilot certificate (until FAA’s new rule is introduced, a private pilot’s certificate or better is required). Usually I prefer to fly a factory airplane to make sure it correctly represents what a buyer might receive. However, Bacon’s model is so well done, Titan Aircraft encouraged a test flight. Thanks to Bacon for his willingness to let me take his pride and joy aloft. Titan Aircraft Company's T-51 displays a commanding profile on the Ultralight/Lightplane runway down on the farm during EAA AirVenture. The 75-percent scale replica bears a striking resem-blance to its World War II namesake, the venerable P-51. With its "Gunslinger" nose art, the cowling and short exhaust stacks add to the P-51 look and sound|though nothing can truly replicate the sound of the Merlin engine. The retractable landing gear is visible tucked up into the wheel wells of the T-51. Unfortunately, the gear didn't fully lock in the down position dur-ing Dan Johnson's flight for this report, creating an interesting, but luckily nearly harmless, end-ing to the flight. The Ending In the remainder of this article I'll tell you what I thought of this new offering from Titan Aircraft, the successful builder of the Tornado line of ultralights and light aircraft. But I must be forthright and tell you my hour and a quarter flight with this new airplane ended with a landing on its belly. I rush to say it wasn't simple forgetfulness; I didn't forget to put the gear down. Instead, a simple mechanical problem in this prototype T-51 prevented the retractable gear from fully extending. The gear was partially down, but it refused to lock in position. A post-incident investigation revealed that a tiny activation pin broke off the gear-down microswitch when I tried to activate it with too forceful a movement. Because the micro-switch didn't activate, the hydraulic system didn't push the gear legs down all the way. Considering the gear was down only about 50 percent, according to Titan President John Williams who was watching from the ground, my touch down was remarkably smooth, and the T-51 rolled for quite a few yards. However, eventually the left gear leg began to collapse followed shortly by the right, and I ended up in a belly landing that did surprisingly little damage. The prop was a goner, though. I knew I had a problem with the gear. In fact, I was coming in for a fourth pass at landing, this time hoping that I had the gear fully down. I was initially prepared to power up and go around, so naturally I left the engine running. I'd been recycling the gear and knew it was moving up and down. But the T-51 never showed me those re assuring three green lights that would tell me the gear was down and locked. I was running out of options and wanted to try to feel the wheels touch. Maybe they actually were extended, I hoped. When I first felt the wheels rolling I yielded to a microsecond of relief. "They are down," I thought! Unfortunately, by the time I faced reality that this was unlikely without green lights, I'd already waited too long to fire up the engine and go around again. It really didn't matter. I was about out of daylight, and I was flat out of ideas. And going around one more time wouldn't have produced a different resolution. But I was quite fortunate. The rather smooth ending of this flight was a function of the aircraft's slow touchdown speed and gentle rate of descent-remember, I was "feeling" for the ground-combined with a softer turf runway and the wheels rolling for a fair distance before folding up. Though this "discovery flight" alarmed everyone-including a couple of government observers who never mentioned their jobs (another story)-I wasn't hurt in the least. After some minor sheet metal repair, a new prop, a fixed gear lever, and a thorough inspection of the whole airframe, the T-51 was back in the air. Twenty Minutes Earlier After three-quarters of an hour flying around in this exciting machine-most of which I found quite enjoyable-I headed back to my departure airport for a series of takeoffs and landings. This is a common practice for me-doing touchdowns and re-launches after I learn a few things about how an airplane handles. The day was a typically steamy April afternoon in central Florida. I was warm anyway; ventilation in the T-51 prototype leaves a lot to be desired in hot climates. For some of the flight, and unknown to me, I had the gear partly down when I thought I had it up. (The T-51 has no gear-up lights.) Though it sounds counterintuitive, John said the T-51 ventilates better with the gear up, so unknowingly I'd been redirecting some engine heat into the cabin. Combined with the sultry day, I was sweating up a storm in the cockpit|and I didn't even know I was in trouble yet. After factoring in some other air traffic in the area, I approached the pattern and swiveled the gear lever forward to the gear-down position. I felt the hydraulics work, but the green lights that would indicate the gear was locked in position never lit up. Hmm? I exited the pattern before getting in the way of other traffic so I'd have time to solve this dilemma. Again, I tried the gear lever. I felt movement up and down but got no lights. At this point I think I slammed that lever harder, hoping to activate the switch. The micro-switch's activation pin may have already been broken at this point, but I kept trying. I put the gear in the down position and tried yawing back and forth hoping to persuade the gear leg to lock down. I got it down about 80 percent that time, John later recounted to me, but it still didn't show the green light. I'd done this air pressure trick at the pattern speed I'd been flying when the problem arose. I never thought to speed up to accentuate the movement. I tried to radio my predicament and ask for advice, but I heard nothing but static. (I'll explain that problem later.) With daylight waning, I decided to fly over the runway in an obvious pass and see if any of the observers there signaled anything. If the green lights had burned out and the gear was actually down, no one would do anything, I reasoned. But if they saw me about to land with the gear up, surely someone watching would wave me off. Someone did. I saw a figure run to the strip and wave vigorously. I assumed that meant they saw an unsafe condition so I went around, again trying the gear lever, cycling up and down, hoping for three green. I never saw them. After running through all my options, at last I tried the soft touchdown described above, and the end is now the beginning of the story. If I'd been as familiar with this prototype T-51 as developer John Williams is, I might have tried another trick or two. One John suggested later was to get the airplane very sideways at some speed and use air pressure to kick the gear into a fully locked position. I had tried this, but not at high enough speed to do the job-John says it takes 120-140 mph to do this from the half-down position I experienced. I should also have allowed more time, as the hydraulic system moves slowly without the boost motor running (see sidebar for more detail). Since this incident, Titan Aircraft has made two refinements that should save others from my experience. First, John redesigned the gear lever arm so it cannot hit the switch activator sideways (which is why it broke off when I slammed it into its notch). Secondly, he added a dump valve to bleed off pressure. After using this valve the gear would be allowed to fall most of the way down, after which you'd need modest air pressure to reach the over-center position. In later discussions, John said my experience was an interesting study. No one would have voluntarily done a gear-up landing (or at least a gear-not-fully-down landing), but now the company knows that a skidding stop may be the worst of it. Of course, this "study" isn't comprehensive and doesn't assure another pilot will have the same non-threatening experience, but it is some information that the Titan designers did not have before I came to an ungraceful stop. I will admit to some mistakes in this flight. First, I should have been more certain of the radio operation. The T-51 had a radio installed, but I failed to raise anyone on it because, it turns out, I was pushing the wrong transmit button. The correct one is on the throttle, not the joystick, to exactly imitate the original P-51. I didn't have the radio on when I left the airport, and we hadn't agreed to a frequency. Had I used the right transmit button and made contact with the folks at the airport, John might have explained the higher speed skidding that could've thrown the gear legs out. Secondly, though clearly done for rational reasons, John chose not to accompany me on this flight, though a second seat (without controls) is available. The prototype T-51 is about 100 pounds heavier than the production kit version will be, and John didn't want to overload the machine on a hot day. His counsel aloft would've been useful, but I understand his decision. Third, especially because the T-51 is a more complex aircraft, I should have flown it earlier in the day. My effort to fit in two or three airplane review flights that day put pressure on me to work longer hours than might be advised. Running out of daylight is no smarter than running out of fuel, and I should have known better. Okay, enough confessions of a test pilot. Let's look at all the other aspects of Titan's exciting new kit. An Hour and a Half Earlier John described the T-51 as being a pussycat to fly. He also said that it was easy to ground handle despite it being a taildragger. In both of those forecasts, he was right on the money. The T-51 is an easy aircraft to fly. It does slow down well. I saw stalls at 40 mph, and at that speed, the T-51 was not a handful to operate. After flying two other ultralights that afternoon, I finally got my chance at the T-51 Mustang, the first reporter to get the honor. John had chosen to wait a year before letting me go because his team was still working out details. They had plenty of them. The T-51 is a much more involved aircraft than most light sport planes. 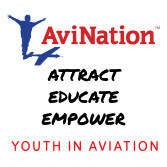 I'm FAA certificated for complex aircraft with retractable gear and constant-speed props, plus I have a twin-engine rating. Flying any such aircraft requires familiarization. John and I reviewed the T-51's interior for nearly 45 minutes before I flew. Most ultralights take just a few minutes. The T-51 I flew was a prototype. Production kits will see improvements in several areas, and the gear lever system is one of them. The new hardware will not allow a forcefully thrown lever to damage the microswitch. Nonetheless, I see merit to keeping things simple. The T-51 is quite complicated for many sport pilots. I compare it to a Beechcraft Bonanza I flew for many hours. That "H" model came with six fuel tanks (including the optional tip tanks), and the pilot had to manage fuel flow every 30 minutes. It was too much pilot workload and invited errors. An Hour and a Quarter Earlier John said that the T-51 was easy to ground handle despite it being a taildragger. This proved correct. Though the effort of steering the T-51 was easier than expected, you still cannot see forward well, so a fishtailing taxi is involved. 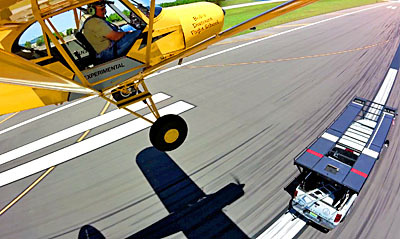 Having to sway back and forth demands that you keep a slow speed en route to the end of the runway, but the tailwheel and pedals work together to make such maneuvering easy. The T-51's canopy is a chain-driven, hand-cranked affair that also requires you to lock some small aluminum latches to assure the canopy stays closed. I thought I had these nailed down, but on initial acceleration the right latch flipped out of position. I aborted the takeoff and taxied back to tighten the latches. After taking care to be sure these tiny latches were secured, my subsequent takeoff went undisturbed by the canopy. Ventilation is an interesting aspect of the T-51. John told me that the T-51 vents engine heat through the landing gear door openings, but counter-intuitively, the venting occurs best with the gear in the up position. Because I lacked experience with the gear operation system, I purposefully had the wheels down throughout much of the flight. Because the venting of heat is not as effective with the gear down, and because the Florida day was already very warm, I was hot inside the T-51. Not only was I sweating the gear problem I faced as the sun was setting, but also the ventilation issues made my perspiration run on overdrive. Surely, this didn't help my problem-solving ability. I was quite uncomfortable. The T-51 needs some air inlets badly. Of course, any builder could do something about this problem, and flying in a cooler climate might never introduce the problem. Please remember that this T-51 is the prototype, and production versions can cure such problems. Visibility out of the aircraft is quite good, but the windshield is built like an authentic P-51, and looking out the front comes with structural obstructions. It made me think about those World War II fighter pilots trying to spot enemy aircraft, and I concluded that it must have been quite a challenge, even for 20-year-old, highly motivated eyes. The T-51 flaps operate nicely. They go down quickly, and the position indicators on the flap itself are easily deciphered. Keeping up with the prop control, trying to keep it under 5800 rpm, yet maintaining high enough revolutions so the engine could provide adequate power proved to be a time-consuming task. John had advised me of this, and I dealt with it adequately, but a constant-speed prop would certainly be better. An Hour Earlier After the canopy opening on my first takeoff, my subsequent takeoff went smoothly, and the T-51 takes to the air like a natural. Though it looks uncannily like the full-sized P-51 Mustang, it flies easily enough for most sport pilots with experience in systems management. I didn't see the higher speeds I expected since I was inadvertently flying around a lot of the time with the gear partly down. John had indicated the T-51 will cruise at 150 mph or better with the Rotax 912S engine and its 100 hp. Based on my experience with the plane, I don't doubt this fact. And now, Titan has nearly completed installation of a Rotax 914 turbo. Yee haa! The T-51's handling was very acceptable to me. John had told me it was very light in handling. You aren't given much feedback. 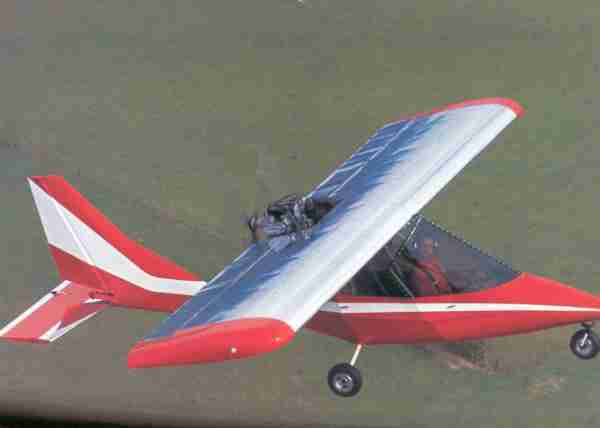 But it was not lighter than a Kitfox, for one example, and it was not as twitchy as some shortcoupled designs. All T-51 handling can be described as stable though responsive. Steep banked turns were easy to execute. Though I didn't try any barrel rolls, I can see how the T-51 would do them as John indicated. Of course, I did do the Dutch rolls that have become an essential part of all my aircraft evaluations. These non-aerobatic coordination exercises were easily done to fairly steep angles, a good sign of cooperative handling. The T-51 has rudder and elevator trim for in-flight adjustments. I didn't notice a great deal of action when I articulated the elevator trim, and the rudder trim was inoperative on this prototype. It had been removed, though Titan will offer rudder trim as an option. I generally found that trim was hardly needed except, as John says, at altitude cruising when you wish to sustain airspeeds and altitudes in a narrow range. John indicated the T-51 tends to wander somewhat when looking at a sectional map. I didn't find this quality in my hour and a quarter flight, but when I kept fiddling with the gear control lever, I found the T-51 doesn't maintain its flight attitude well; you must fly the airplane. For a sport plane, this is a pleasure. It is less desirable for a cross-country cruiser, and therefore, I didn't find great value to the high cruising speeds Titan reports. Stalls were very mild in the T-51 prototype. I never set the power below 4000 rpm as a vibration occurred at lower settings. Neither did I do full power stalls since the aircraft was a prototype, and I wasn't doing experimental test pilot work. I performed mostly slow-cruise power stalls, but I did several and never found evil tendencies. I saw stalls at 40 mph indicated, and the T-51 behaved itself very well during these trials. Titan quotes stall at 39 mph. Thirty Minutes Earlier Normally, I spend a fair amount of my evaluation time doing takeoffs and landings. It's an excellent way to feel out an airplane, and it's an essential skill. Pilots looking to buy an aircraft always want to know something about takeoff and landing characteristics. In the T-51 Mustang, I made several approaches, but only two touchdowns, and it isn't fair to call one of them a "touchdown." Perhaps "crunchdown" would be more appropriate. Though my final landing wasn't as pretty as anyone would have liked, I did have one successful landing. As I rolled out on my first takeoff the canopy slid open an inch or two. John had told me not to have the canopy open in flight, so I aborted the takeoff after rising only a few feet into the air. My subsequent touchdown was good despite my distraction with the canopy and operating a new, complex aircraft for the first time| solo. Afterward, I gained additional experience with taxiing after landing well down the runway and having to return to the opposite end. John told me to wheel land the T-51 and not try a three-point landing, which is always my preference on taildraggers. Part of the reason for his advice is to assure you can see over the nose. On a normal, nose-high, three-point landing, your forward visibility might be impaired. I remember that on my first aborted takeoff, the nose did yaw significantly, and I could sense the anxiety of a couple fellows watching from the side. I easily regained control, but a first takeoff in the present version of the T-51 has a lot going on for the pilot to monitor. And Now? The entire layout of the T-51-the obvious external comparison to the original Mustang but also the interior-looked very military. 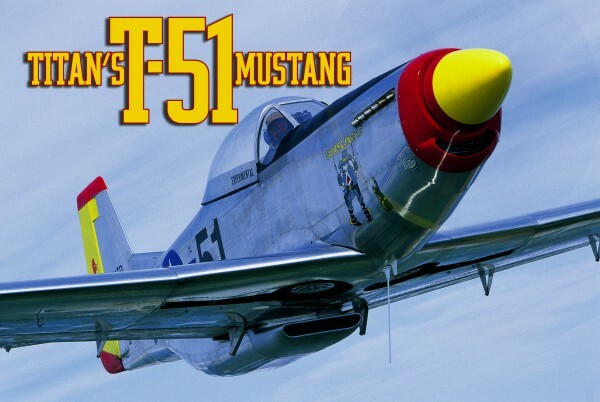 If you are drawn to such nostalgia aircraft, the T-51 preserves the imagery better than, say, the Loehle 5151 Mustang, which carries the exterior look but lacks the same definition on the inside. Titan's T-51 kit has an estimated build time of 600 hours-which surprisingly low and is a credit to the hard work of Titan's design team. The kit includes all required materials, components, and fasteners but does not include the engine, propeller, and instruments because of different customer preferences. 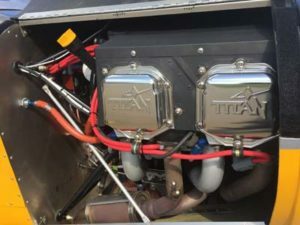 Titan says, "When equipped with the Rotax 912S engine, controllable propeller, and a full complement of necessary flight instruments, we expect the finished T-51 to cost well under $50,000." The basic kit lists for $36,000. With an airplane kit of this type, you'll want to spend some time talking to factory experts. And you need to be honest about your ability not just to build the plane, but also to fly it when done. It isn't hard to fly, but it will take much more concentration than most ultralights or light-sport aircraft, the rule under which Titan hopes to sell the all-metal bird. [Editor's Note: The notice of proposed rulemaking (NPRM) for light-sport aircraft specified that the aircraft would be limited to fixed-gear aircraft, or repositionable in the case of amphibians. Whether the final rule will offer changes to that specification remains to be seen. If left as proposed, the T-51 may only meet the light-sport aircraft criteria as a fixed-gear aircraft.] The T-51 Mustang definitely has the gung-ho fighter aircraft look and feel, but it's not difficult to handle. Though you absolutely need some good experience to deal with the T-51's complexities, it won't require a long learning curve to fly it. Contrarily, you have much more systems management to do, and you cannot take flying the T-51 casually. It is definitely not a beginner aircraft, but it will be an ideal move-up candidate for pilots with a good many hours logged. With its dashing flight traits and its adherence to World War II authenticity, the T-51 is going to make a number of buyers very happy and very proud. When you land a T-51 at an airport that hasn't seen one, allow extra time for fascinated airplane buffs to look it over thoroughly. 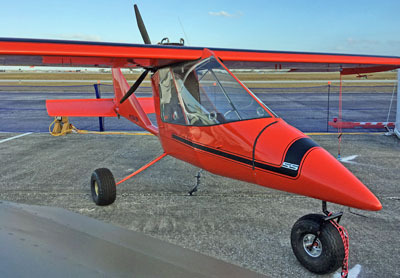 The Ending In the remainder of this article I’ll tell you what I thought of this new offering from Titan Aircraft, the successful builder of the Tornado line of ultralights and light aircraft. But I must be forthright and tell you my hour and a quarter flight with this new airplane ended with a landing on its belly. I rush to say it wasn’t simple forgetfulness; I didn’t forget to put the gear down. Instead, a simple mechanical problem in this prototype T-51 prevented the retractable gear from fully extending. The gear was partially down, but it refused to lock in position. A post-incident investigation revealed that a tiny activation pin broke off the gear-down microswitch when I tried to activate it with too forceful a movement. Because the micro-switch didn’t activate, the hydraulic system didn’t push the gear legs down all the way. Considering the gear was down only about 50 percent, according to Titan President John Williams who was watching from the ground, my touch down was remarkably smooth, and the T-51 rolled for quite a few yards. In the last year, the Titan company scored a huge media success by having its Tornado appear on the popular TV show Northern Exposure. On the show, pilot character, Maggie, builds and flies the Tornado and the entire episode deals with the aircraft intimately. Titan boss John Williams was hired to provide technical consultation and the show gave a welcome boost to ultralight aviation. How they chose this airplane over another is no mystery to anyone who's flown the dashing design. The Tornado is available in a single and two seat model, each of which flies beautifully. One glance confirms an image of speed and snappy handling but these qualities don't come with a penalty. Both aircraft can also slow down well, and exhibit forgiving takeoff and landing characteristics. Appearances are important and the Titan aircraft excel in this area. In addition to strikingly raked lines, the planes are built from materials that suggest a long life. The all-aluminum wing not only holds up well to Mother Nature, but works much harder than its tight span implies. An aluminum tail and fuselage pod cover a welded steel inner structure that helps assure a long and successful career of recreational flying. 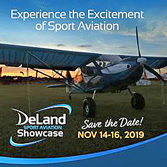 Titan has also introduced a 103 Tornado, which gives up some of the aluminum for dope and fabric covering so as to qualify under the 254 pound limit of the ultralight regulation. For this achievement, Titan picked up an airshow award. 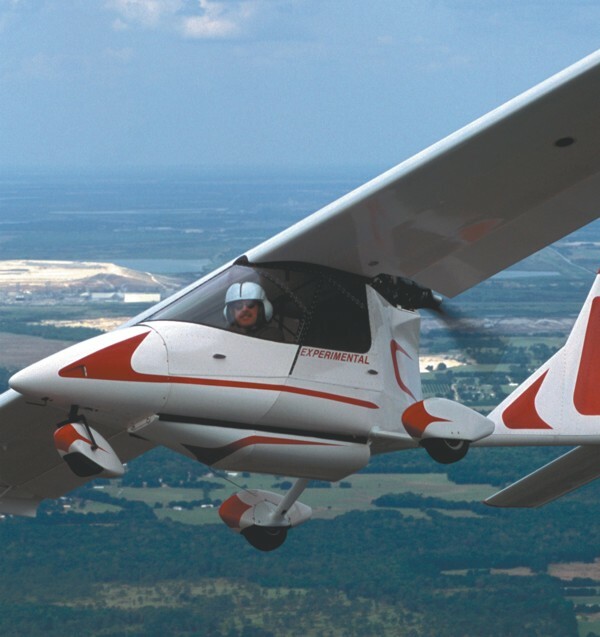 As with many of the very lightest ultralights, the 103 Tornado exhibits beautiful handling plus mild takeoff and landing features. For a plane with many advantages and great flying qualities, you can hardly go wrong with a Tornado. Titan was featured in the April 1994 issue. In the last year, the Titan company scored a huge media success by having its Tornado appear on the popular TV show Northern Exposure. On the show, pilot character, Maggie, builds and flies the Tornado and the entire episode deals with the aircraft intimately. Titan boss John Williams was hired to provide technical consultation and the show gave a welcome boost to ultralight aviation. How they chose this airplane over another is no mystery to anyone who’s flown the dashing design. The Tornado is available in a single and two seat model, each of which flies beautifully. One glance confirms an image of speed and snappy handling but these qualities don’t come with a penalty. Both aircraft can also slow down well, and exhibit forgiving takeoff and landing characteristics. Appearances are important and the Titan aircraft excel in this area. In addition to strikingly raked lines, the planes are built from materials that suggest a long life. An Experimental 'fighter jet' that any pilot could love That vast majority of general aviation pilots who won't even think about building their own plane has missed quite a revolution. The FAA says approximately 25,000 aircraft are registered as Experimentals. That's 15% of the GA fleet. Building isn't what it used to be. You no longer need to master the skill of reading engineering prints (plans), nor must you search high and low for parts. These days, most registered Experimental aircraft are built from kits. Many are well-fabricated packages that can be assembled in just a few hundred hours. That can mean as little as two or three hours a night, two to three days a week, for about a half-year. Not a bad investment for a truly unique airplane. One sport pilot who enjoys flying his creations is Minnesota resident Al Reay. For Reay, building is a means to an end. He owns several microlights, and he's one of the flyingest pilots I've ever met. MAN AND MACHINE Reay loves to fly his GT500, his Buccaneer and his S-14, all of which are homebuilts. 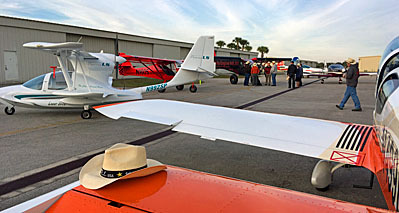 He's also built a couple of EAA Grand Champions (a Kolb Twinstar and an N-3 Pup that was modified to resemble a Citabria). Most recently, however, he thrills to his Titan Tornado. And some Tornado it is. It's my good fortune to know Reay. He's a friend, an air show compatriot, and a good man to know. On one fine and surprisingly warm Minnesota day in early December, Reay brought his dashing Tornado to my home field so I could take her up and see how she flies. Before I took the controls, Reay and his Tornado posed for air-to-air photographs that I shot from my Cessna 150/150. Fellow BRS worker Jeff Peltier piloted the photo plane while I worked the camera. It proved to be a grand way to see the airborne machine up close and personal. MOVING ON UP Ohio-based Titan says it's seeing a good response to its racy-looking Tornado. The light aircraft's pointy nose, flowing seats and seat-embedded joystick lend the feel of a fighter jet. In fact, that's one of the more frequently heard comments. Reay's Titan is superbly equipped. Once seated, you face an array of gauges and gadgets, enough to satisfy all but the most earnest instrument pilots. The airplane has two GPS units. 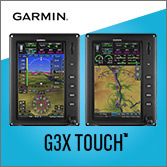 One, located just forward of the left-side throttle, makes it easy to see the path of flight on a moving-map display. On that same side, Reay has installed a few switches and an oil-pressure gauge for the Rotax 912 engine. On the right is a radio and more gauges. Reay is delighted with the four-stroke Rotax. 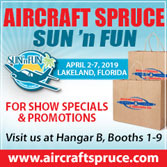 He's logged a fair number of hours in the Titan (170 in 18 months), including a 3,000-mile cross-country trip to Sun 'n Fun in Lakeland, Florida. "It uses virtually no oil," he said to my amazement. If your GA-engine experience is like mine, you add a quart of oil nearly every time you fuel up. "Look, no oil spills on the engine - even after 170 hours!" Reay said. He did change spark plugs at 130 hours, "just because I needed to do something." Entry into the Tornado's raked cockpit presents a bit of a challenge for pilots who are less flexible than others. The front is reasonably accessible if you use the overhead welded structure to help lower and slide yourself into the seat. The rear door, however, is fairly demanding. Both doors open only to the right side of the aircraft. Because of this limitation, the Tornado may be a one-plus-one configuration where you usually fly solo, with an occasional passenger. On the other hand, that's how most GA aircraft are flown anyway. Even in production-built models, the average occupancy is a bit more than one and half persons. Once inside and seated, your feet rest in heel cups that are actually quite supportive, considering their small size and "V" shape. They also serve as heel brakes, and if you're not careful you'll find yourself riding them during taxi operations. Your feet are also positioned close to each other, as the fuselage fairing tapers to a point up front and restricts space. Combine the close quarters with the restrictive heel cups, and some pilots may find the constraints annoying on long flights. The Titan has a novel feature that permits rudder-pedal adjustment, just like full-sized military fighter aircraft, I'm told. A crank allows height adjustment, which means you don't have to move the seats. The fixed heel-brake system, however, tends to lean your feet forward or aft as you adjust the pedals. They fit me fine, but I'm average height; taller or shorter pilots might need to reposition the heel brakes for comfort. Such personalized adjustments are just one of the benefits of homebuilt aircraft. With front and rear latch points, the door feels physically secure, unlike some microlight aircraft. And by swiveling the air vents in concert with the heating system that Reay installed, I was able to precisely adjust the cabin temperature. One final note about Reay's elaborate cockpit. The control panel tilts back, which means you don't have to crawl around when adjustments are needed. Hinged at the bottom and clipped at the top, access to the instruments is easy - even if in-flight, if needed. Reay has also installed a BRS emergency parachute system. Widely available for homebuilt aircraft, they offer extra security. (As a point of disclosure, I work for the company.) READY TO ROLL I've already talked a lot about the heel brakes, but let me add a couple of comments: (1) They're effective, which is a good thing because the 912 idles high; (2) my initial tendency to ride them a little didn't present much of a problem. The nose wheel responds with a lot of action from relatively little input. You'd get used to it - maybe even spoiled by it - but it seems too fast at first, and I had to guard against over-control. With a little practice, I soon felt ready to taxi to the active runway. Advancing the throttle forward steadily brought the Rotax out of its taxi slumber. We shot down the runway and into the air. Landing would prove less thrilling, but just as controllable. You can put the flaps down at 80 mph, Reay told me, and I discovered that their surfaces are powerful. With the Titan's short wingspan (23.5 feet), the flaps may not look very large. But they do work hard, as does the overall wing design. The result of the flaps and extraordinarily efficient airfoil means this speedy aircraft can be slowed down quite well. Operating from a conventional airport, I had the luxury of longer approaches, where speed control isn't an issue. I've put other Tornadoes into short fields where the ability to slow down and retain good control is a welcome feature. The electrically operated flaps move freely to the touch on a nearby switch. The lack of an indicator means you need to turn your head and watch their movement. If you're driven to set a certain flap position, as general aviation pilots are trained to do, you may want to add an indicator. One thing I fuss about on the Titan line is the trim wheel. It's located under the seat, approximately below your left thigh. The wheel is knurled for a good grip and it works effectively, but it isn't intuitive. I prefer a trim I can adjust quickly and readily for the critical takeoff and landing phases. In time, however, most pilots would get used to it. HANDLING FOR THE PASSIONATE For me, the reach to the stick is a little long. I found it more comfortable to hold it down lower, but the Titan's overall light touch makes that transparent. On an aircraft with heavy stick pressures, gripping lower can make things more difficult. Since I enjoy light and responsive handling, I always look forward to flying a Titan. I've had the pleasure of piloting several, and every time has been a joy. Handling is a strong point with the design. It deserves the high praise it receives from those who fly it. What I had never flown before was a 912-powered Tornado. Wow! Climb rate? Well, what can I say that you can't figure out for yourself? With an 80-horsepower engine on a light aircraft flown solo it's simply breathtaking. The factory states 1,800 feet per minute. I only saw 1,400, but Reay's Tornado is lavishly equipped, which makes it heavier than similar models, and I may not have found the optimal climb attitude. At this performance range, power efficiency can take some practice. In fact, power-on stalls with the stick full aft and held there produces a steady - though a tad mushy - continued climb at 1,000 feet per minute. Short of engine failure, I don't see how you fly yourself into trouble on takeoff, at least with regard to pitch control. On the other end of the speed envelope, this 912-equipped Tornado scoots. Reay says he can consistently hold it at 120 mph, and I saw 100 while cruising around lazily. To my surprise, it matches up well to my Cessna 150/150. If not for the "big" engine up front, most 150s would quickly fall behind. A bit after I flew his Titan, Reay upgraded to the new 100-horse 912S. There's one California word that describes the result: awesome! YOUR OWN 'ULTRALIGHT FIGHTER' You can buy a Titan Tornado and personalize it as Reay did, though you may have trouble replicating the paint job. Reay purchased a professional design and executed it himself. "Well, I can do that," you say? Don't be so sure. Reay has owned a successful body shop for decades. After repairing thousands of Mercedes, Beamers and Saabs, he's about as good as it gets when it comes to painting. As we were finishing up, Reay had one more trick to show me. Under the cap of his joystick, in a place no one would normally look, he has a little tube where he keeps cash for emergencies. "In case I land in some farmer's field and need to settle up right then and there," he says. Like a Boy Scout, Reay is always prepared. You should be as fortunate to fly his lovely bird. I encourage you to investigate a Titan Tornado, even if it isn't quite as spectacular as the one Al Reay built. An Experimental ‘fighter jet’ that any pilot could love That vast majority of general aviation pilots who won’t even think about building their own plane has missed quite a revolution. The FAA says approximately 25,000 aircraft are registered as Experimentals. That’s 15% of the GA fleet. Building isn’t what it used to be. You no longer need to master the skill of reading engineering prints (plans), nor must you search high and low for parts. These days, most registered Experimental aircraft are built from kits. Many are well-fabricated packages that can be assembled in just a few hundred hours. That can mean as little as two or three hours a night, two to three days a week, for about a half-year. Not a bad investment for a truly unique airplane. One sport pilot who enjoys flying his creations is Minnesota resident Al Reay. For Reay, building is a means to an end. The Tornado is one the most exhilarating ultralights I've flown. As I approached the short span aircraft, I didn't expect to be so delighted with its flying qualities. The Tornado has great lines. It looks like it might fly fast, handle briskly, and cope with bumps well. These impressions turn out to be correct when you fly the plane. However, flight reveals some secrets as well. A clean design, cantilevered wings, full enclosure, with slick aluminum surfaces contribute to good slow flight qualities. The wing obviously works harder that its short span suggests. The Tornado will fly slowly when you deploy the large flaps and the speed range is admirably wide. The plane will also land at surprisingly slow speeds. Handling is not only good at high speeds, it remains crisp at stall. Stalls themselves are mild affairs with no evil tendencies; under full power, I simply couldn't generate a stall. The interior is comfortable and creates the sensation of a high performance jet. Visibility is tremendous. Tornados come with desirable features such as in-flight adjustable trim, standard flaps, and proper seat restraints. It has unusual features such as cabin-adjustable rudder pedal position to fit different pilot sizes. With metal wings and tail, a long service life should result. Given a reasonable price and all these positives, no wonder sales are good. Full Review in Feb. '93 UF! The Tornado is one the most exhilarating ultralights I’ve flown. As I approached the short span aircraft, I didn’t expect to be so delighted with its flying qualities. The Tornado has great lines. It looks like it might fly fast, handle briskly, and cope with bumps well. These impressions turn out to be correct when you fly the plane. However, flight reveals some secrets as well. A clean design, cantilevered wings, full enclosure, with slick aluminum surfaces contribute to good slow flight qualities. The wing obviously works harder that its short span suggests. The Tornado will fly slowly when you deploy the large flaps and the speed range is admirably wide. The plane will also land at surprisingly slow speeds. Handling is not only good at high speeds, it remains crisp at stall. Stalls themselves are mild affairs with no evil tendencies; under full power, I simply couldn’t generate a stall.